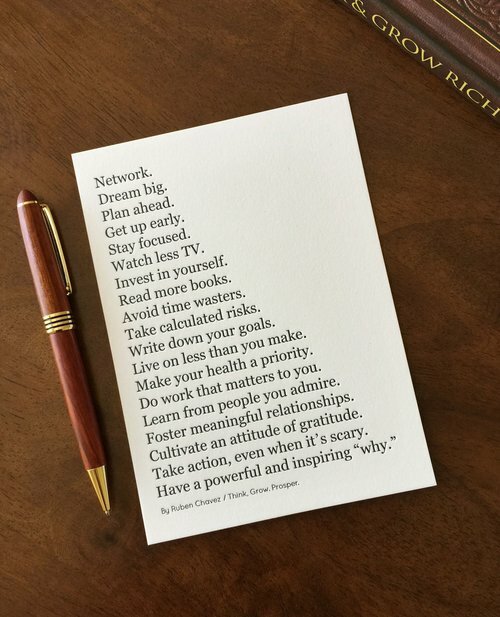 When I originally wrote this list and posted it as a digital graphic on @thinkgrowprosper two years ago it went viral, even getting reposted by Diddy and many others. Since then, I’ve had countless people ask me to turn it into a physical product...so I finally took the hint! I love digital content, but there’s something special about owning a tangible object—a hardcover book, a leather bound journal, or in this case, a 5” x 7” letterpress print. I want to create more physical artifacts so this is the first of a series of prints I’ll be releasing in the upcoming weeks and months. 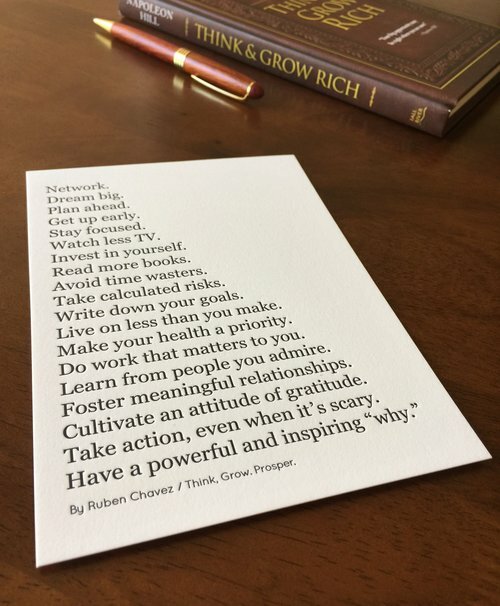 Use these prints however you want—display them in your home or office, stick them to your fridge, tuck them inside your favorite book, or buy several and hand them out to your team to keep them inspired and motivated.